Nissan says the revamped NV200 taxi will go on sale in December. LONDON -- Nissan Motor Co. has unveiled a redesigned version of a taxi the carmaker is building for London after local authorities said they wanted the model to look more like the city's iconic black cabs. The revamped NV200 taxi, first shown in 2012, will go on sale in December, the automaker said on Monday. 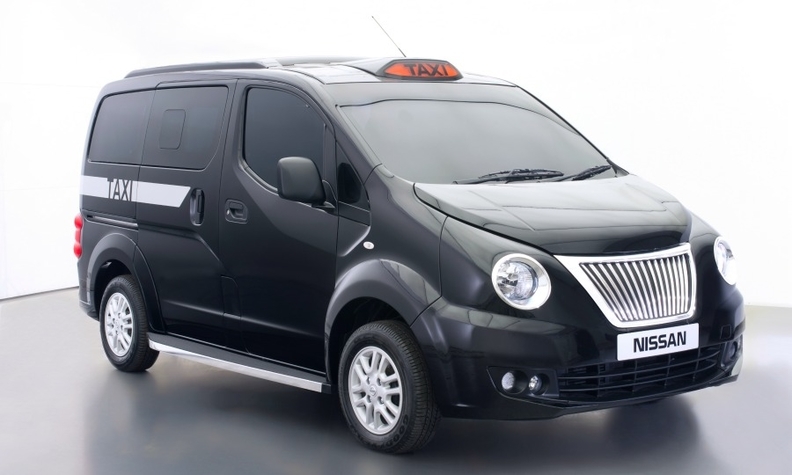 The vehicle, which has a gasoline engine, will be equipped with round headlamps, new front bumper panels, a redone grill that mirrors the traditional face of London's cabs, and LED lighting to make sure the yellow taxi sign is clearly visible. It will also adhere to the strict regulations for London's so-called Hackney Carriages, or black cabs, including a 7.6 meter (25 foot) turning circle enabling it to turn around in London's narrow streets. "We have worked closely with the mayor's office and associated stakeholders and interested parties to ensure that Nissan's new cab not only raises the bar for both driver and passenger, but is also as instantly recognizable as its legendary forebears," Andy Palmer, chief planning officer at the carmaker, said in a statement. Nissan and Daimler's Mercedes-Benz are pushing into London's cab market to challenge traditional supplier London Taxi Co. (LTC), which operated as Manganese Bronze Holdings Plc., until it was purchased last year by China's Zhejiang Geely Holding Group Co. in a rescue deal. Nissan is also targeting New York, Tokyo and Barcelona with taxis that it's building. Traditional black cabs built by LTC dominate London's streets. 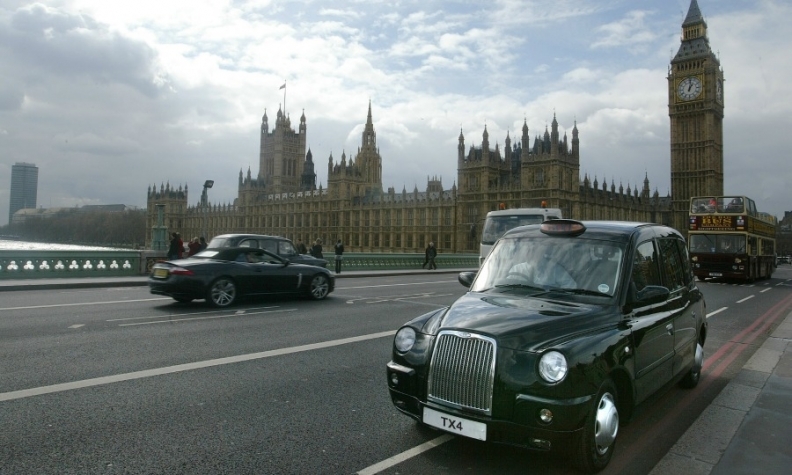 Steve McNamara, the general secretary of the Licensed Taxi Drivers' Association, said the new taxi would be welcomed by the industry because it would be cleaner than the traditional diesel cabs. Industry rumors have suggested that they will also be cheaper than their competitors. Nissan said that it also hopes to have an electric taxi on the streets of a British city in 2015.